We bought this Mike Dela Rosa gown two years ago for my daughter’s Digital Arts Project and Presentation Exhibit 10.0 event in 2016. My daughter loved the fit and simplicity of the gown. But since the occasion is already over, the gown is kept in the closet. I don’t have plans of disposing or selling it. If I have another daughter she could wear the gown to her prom night. She would look lovely in it. 🙂 Don’t you think this an elegant prom night gown? 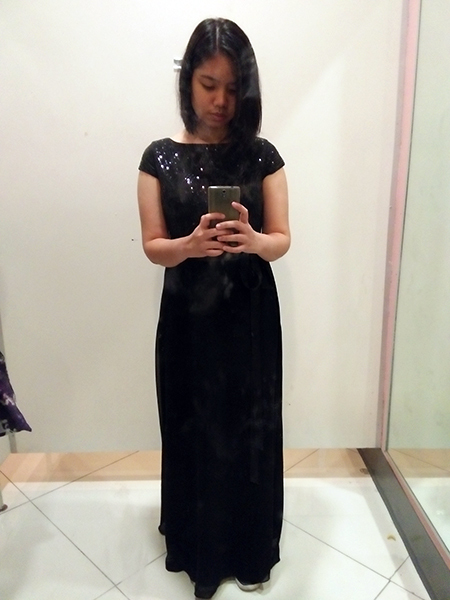 This entry was posted in Prom and tagged gown by mike dela rosa, Mike Dela Rosa black gown, prom gown on August 1, 2018 by Mommy Yam.